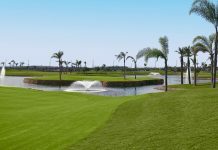 On Friday 5th January Montgo Golf Society played their first game of the calendar year, a stableford competition at Oliva Nova kindly sponsored by Patrick Lynch. 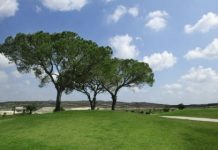 Thirty members were greeted by a beautiful warm and sunny day with temperatures touching 24c as the players finished their rounds, a far cry from the weather being “enjoyed” by Northern Europe at the moment. 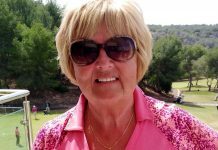 Our winner today was a recent returnee from the UK, Stella Fox, who despite not picking up a club for nearly three weeks scored a creditable 34 points off 17.1. 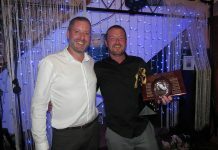 In second place, just missing out on countback, was Gordon Gleeson with the same score off 17.4. 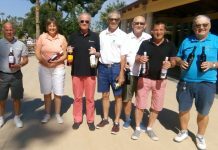 Third and fourth places were also decided on countback, with John Snelling (10.3) taking the spoils from Richard Fox (18). 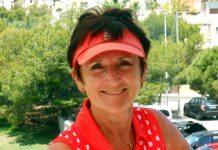 Sue Burman, also with 33 points, was the unlucky player to miss out. 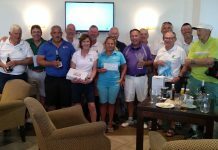 There were separate nearest the pin prizes on offer for men and ladies, and for a change the boys actually performed better than the girls. 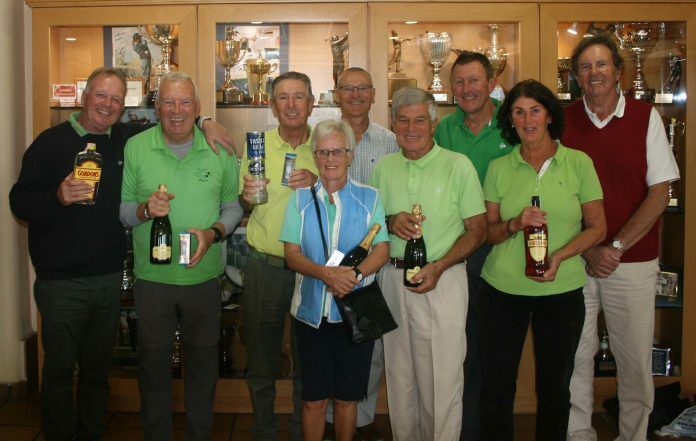 Simon Fox took the men’s prize on the 3rd with his shot to 6.45 mtrs, whilst none of the ladies managed to hit the green and stay on the surface. The prize went to a card draw, which went to that perpetual card draw expert Roy “lucky” Jones. 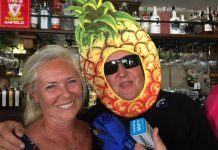 Sue Burman made up for her disappointment of missing out on the main prizes by taking the 16th for the ladies with a shot to 6.9 mtrs, which she also converted for a two, however this was eclipsed by Peter Twine’s shot to 1.99 mtrs taking the boys prize, which he failed to convert. There was just one further 2 on the day, scored by Susie Snelling. Many thanks again to Patrick for his sponsorship of the day, and his lovely prize table. 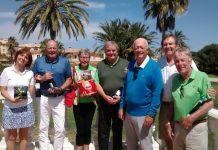 During the presentation we were pleased to be joined by Candida Wright, the President of the Help Denia charity and a tremendous supporter of the ex-pat community here on the Costa Blanca. 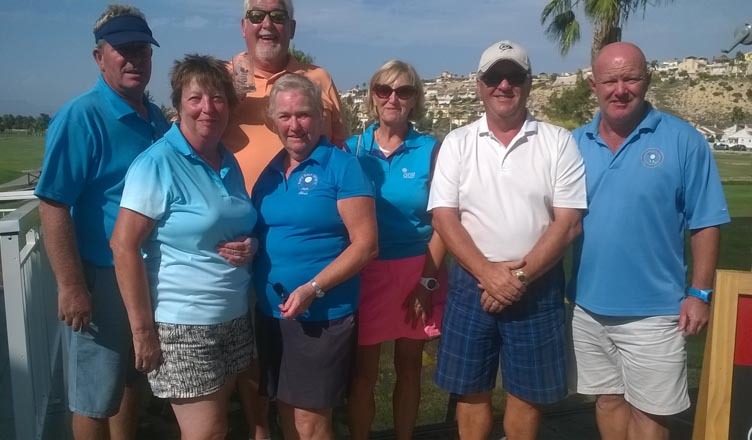 Though our charity efforts we were able to present Candy with a cheque for 500 euros to help support Help Denia’s various projects, although it has to be said as an aging ex-pat golf society there was a certain amount of self interest as we will all probably need the help of Candy and her wonderful group in the not too distant future.